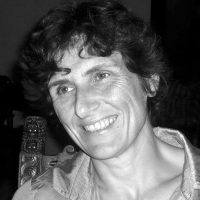 Valerie Peugot is the current president of VECAM, a NGO dealing with the impact of ICTs (information and communication technologies) on societies. Peugeot is also active in several other non-profit activities related to the social and democratic impact of Europeanisation, globalisation and ICT developments. How to approach intellectual goods, information and knowledge in the 21st century?